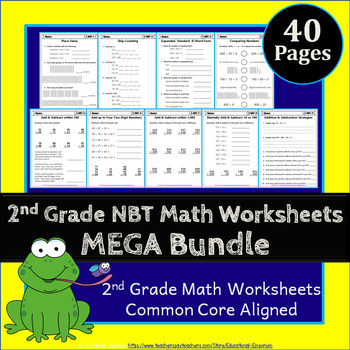 These 52 worksheets (2 PER STANDARD) are aligned to meet all Common Core standards for 2nd grade math. 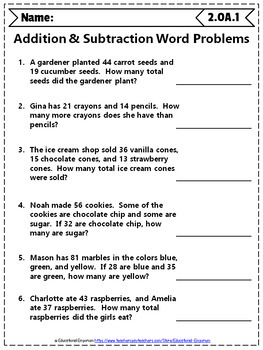 This 120 page document will supply all your worksheet needs for assessment of ALL math skills for 2nd grade. 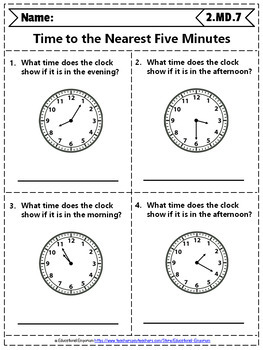 Each standard includes 2 unique worksheets! Several types of questions for each standard will help you assess your students' mastery of each standard. 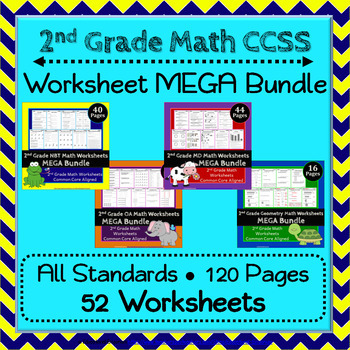 Check out my 2nd-Grade Digital + Paper Worksheets Bundle that also contains these worksheets in Google Classroom form.